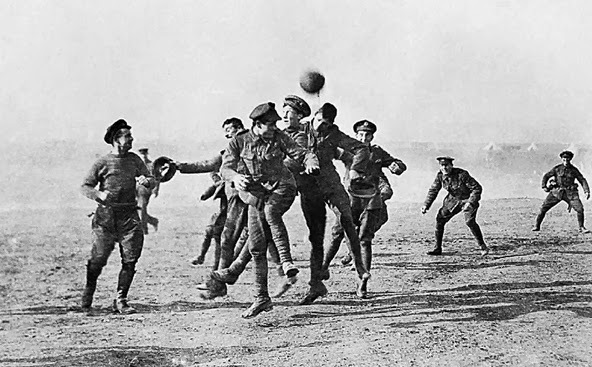 Several times we pointed out the varied link between Great War and Sport, discussing some of its different meaning or referring to some important athletes-soldiers. Now, a new conference, which has to be hold in Firenze in May 2014 under the title “Lo sport alla Grande Guerra”, aims to shed light on the topic. The organizers – Siss (Italian Society for the Sport History) and Sism (Italian Society of Military History) – wish to focus their attention on the Italian case-study, discussing the metaphoric value of sport as representation of the battlefield and its symbolic significance from the civil to the military perspective, and considering then also the broader European context. You can find below the CfP with some suggested topics which could fit the main interests of the conference, but also other related aspects concerning the connection of Sport and Great War are welcomed. Proposal can be sent till mid January 2014. Further information also here. Siss (Società Italiana di Storia dello Sport) and Sism (Società Italiana di Storia Militare) propose a meeting to study the role of sport in the European culture during the First World War when sport found a major advantage for its change and growth. The Conference will be hosted in Florence in May 2014 to commemorate the 100th anniversary of the beginning of the First World War. The aim of the conference is to share the deep relevance that sport had with the industrial revolution and the development of Italian society through its social and political metamorphosis. Just think of the growing interesting of Catholics and Socialists, who measure themselves against emerging sport, and even the obvious link with Gabriele D’Annunzio and the competitive spirit of his undertakings. For more information, contact : Angela Teja (an6teja@gmail.com, mobile phone: 3491324919) and Virgilio Ilari (virgilio.ilari@tiscali.it). They will be happy to respond to anyone's questions.